Jointly Organized by Marwari Mitra Mandal & Singapore Gujarati Society. Venue: Singapore Swimming Club, 45 Tanjong Rhu Road Singapore 436899. 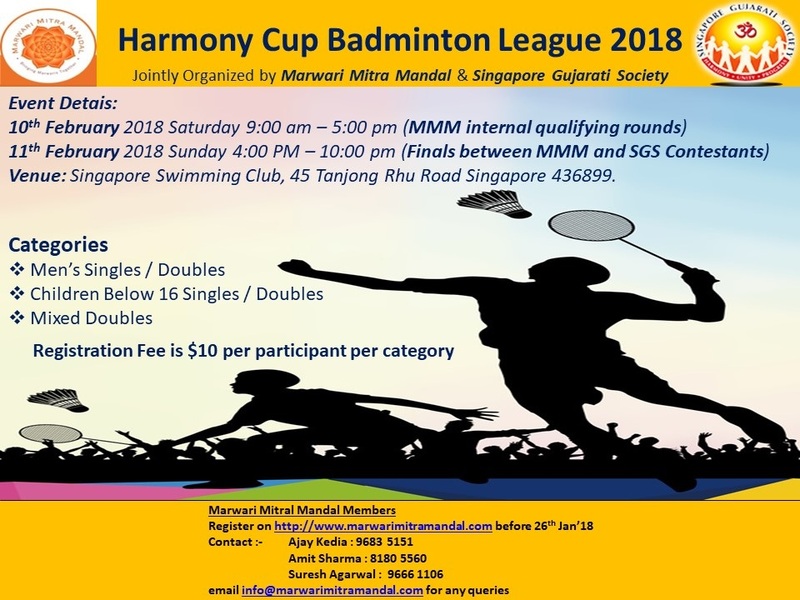 Come on 11 Feb 2018 @ SSC to network, enjoy the games and cheer!